The Biodiversity and Ecosystems Data and Information Centre (BEDIC) assembles the OD Nature competences on treatment of numerical information on biodiversity and ecosystems. The starting point for BEDIC was the Belgian Marine Data Centre that gathers, validates, archives, manages marine and oceanographic data collected (mainly) by Belgian scientists in the frame of research projects and national and international monitoring programmes. 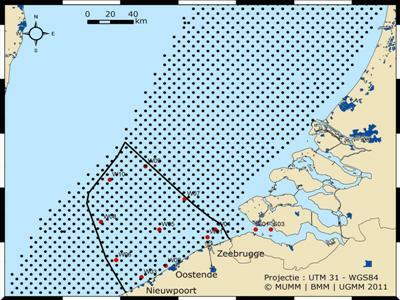 Today more than half a million unique and valuable measurement results for various substrates (sediment, biota, seawater, …) and parameters (nutrients, metals, pesticides, …) in the North Sea are imported in the database, of course with the necessary metadata and after rigorous quality control. The short term objective for BEDIC is to ensure the same service for all OD Nature scientists on biodiversity issues in Antarctica and fresh water. The expertise of SWAP and BMDC for the definition, configuration and maintenance of ICT solutions. BEDIC turns to data and information suppliers and delivers data, products and services to numerous end-users through a large variety of channels. It also produces software (e.g. related to the acquisition and dispersion of data and metadata).